Ooh La La Floral Design, your local Cranbourne florist for quality and service. We offer same-day flower delivery on all arrangements. We deliver fresh flowers arrangements for birthdays, anniversaries and funerals throughout Cranbourne, VIC area. Ordered a flower arrangement online in the morning and it was delivered by the afternoon. My friend was thrilled with her flowers. I will not hesitate to use this florist again in the future. Highly Recommended! Mixup with card selection (which was pretty funny really) but prompt delivery with accurate selection! Happy with end result. Easy ordering system, clear photos to choose and delivered right on time! Recommend! So easy to order / pay and see the flowers online. I asked online for a bright arrangement and when I saw the flowers they were everything I asked for and more.. Beautiful work. Quick delivery, friend thrilled with her arrangement. Send flowers from HK to Melbourne ,very efficient,the flowers are extremely flesh and beautiful. A dear family friend lost her Mother about a week and a half agl. We sent her a beautiful basket of white flowers. A week later they are the only ones still going, and she was truly uplifted by the arrangement. Thank-you. Very skeptical when ordering as it&rsquo;s a company on the other side of the world! Have to say, they did good! My cousin received her flowers and balloons in style on the day requested! Made her day and will definitely use the company again! Flowers delivery met expectations and was as shown on website. Recipient was very happy. Many thanks. Great service!! I was stressing about the order and these guys were wonderful in assuring me it would all be ok! Beautiful flowers, perfect delivery and easy to contact! I haven't seen the arrangement in person, but was hoping for a bit more vibrancy in the colour selection. Thank you to the person who did the work though. Awesome. Ordered midnight Monday, delivered with a big happy friendly smile before noon Tuesday. Lovely colourful bright basket full of birthday flowers. Great design - not just thrown together - a deal of thought and design went into constructing a lovely bouquet. Would recommend to all and would joyfully use again. Fast delivery .lovely flowers , very happy with service. I'm unsure how the actual product looked, since I sent flowers from Canada to Victoria, AUS. However, based on the pictures, hoping that the final product looked like the pictures, the arrangement looked good. I ordered flowers to be delivered on the same day for my daughter. I placed my order at 12pm and they arrived before 4pm. Gorgeous flowers and great service. Very impressed. Excellent service, product excellent. Very happy. Would use Ooh La La again. We ordered two funeral arrangements from overseas. Both arrived on time and - according to our relatives - looked "lovely". Very talented and trustworthy florist. The flowers were beautiful and everything I hoped they would be. Thank you for the extra care you took in customizing the flowers for us. We were really happy with the service, flowers and delivery. Easy and quick and delivery was spot on. Thank you for the great service, fast delivery and beautiful flowers the recipient is enjoying them very much. Thanks for letting me know it was delivered. The flowers were beautiful, the website was clear and easy to use, I really recommend &ldquo;Ooh La La Floral Design&rdquo;. They were impressive and a pleasure to use. Thank you! The flowers arrived when asked for which was very important. Although I haven't seen them the recipients are very happy. I would definitely use ooh la la again . Lovely flowers delivered as requested on time. As I am in UK and these were for Melbourne Australia I cannot comment on the flowers as I have not seen them, however, the ease of booking, the updates and confirmations were very quick and easy. Highly rate the service. Although I didn't see the flowers, the recipient was absolutely delighted with them! The floral arrangement was lovely, the recipient was absolutely delighted. Same day delivery. Thank you. I ordered online a basket of a white flower arrangement to be sent to a family suffering a bereavement and they arrived mid afternoon at the address provided on time as I wanted. I am interstate and my daughter sent me a photo of the basket of flowers and they looked absolutely beautiful and they were exactly what I was hoping for. Thankyou SO much " OOH LA LA" florists of Cranbourne I am very pleased with your efficient service and also the lovely basket of flowers you delivered. I would firmly recommend this florist. Thankyou Lorraine Bollard, Kin Kin, Qld. My mother was very pleased with her beautiful flowers! I used them last year as well and will continue in the future. Flowers arrived on time very professional for my nieces funeral. Spoke to the family and they said the flowers were stunning. Would highly recommend as this order was sent from the UK. Kept updated all the way through the process. My wife said they where the nicest freshest flowers she has received in a long time ???? Flower arrangement was beautiful and exactly as requested, and delivered in a timely manner. I was told that they were beautiful and very fresh, they brighten the day for the young widow. <br/>Thank you. Beautiful floral arrangement! Thank you! Very pleased with the flowers delivered, such a beautiful basket arrangement. First time using this florist but it won't be the last. Easy ordering system, ability to leave comments/notes, fast delivery. Great company to deal with, no problems at all, and the flowers were amazing. Flowers received and are beautiful, much appreciated. Excellent service -flowers ordered in England and were delivered in Australia the following day. Thank you. the arrangement was left to the florist to put together and was very suitable for the occasion. Was well received. Fantastic assortments and range to choose from for every occasion, and same day delivery was excellent. Our recipient was very happy with their flowers. We look forward to ordering again! A very simple order and purchase process, thank you. The recipient was delighted with the flowers! On time, delivered correctly and recipient was extremely happy. Excellent service . When you have dear friends who live thousands of miles away. You do need to know that when you wish to send them a bouquet of flowers, they are going to be special . I have just seen a photo of the flowers that were sent today and they look wonderful and just like the picture we chose. Thank you very much . I will be using your service again .Our dear friend is overjoyed with her flowers. Delivered nice and early - the photo looked lovely. Our daughter-in-law was thrilled. Evidently did a wonderful job. My friend was thrilled - said the flowers were really lovely and beautifully presented. <br/> <br/>They were delivered in time according to my wishes and I received an email confirming delivery. Excellent service thank you. Listened to my instruction and delivered a beautiful bouquet for bestie! Perfect! Everything was great. I couldn&rsquo;t believe the flowers were delivered so quickly. Will definitely use again. I ordered the flowers at 7am on Valentines Day and they arrived a few hours later and look beautiful. Easy browsing website. Easy order and payment. Prompt delivery. Very happy customer! Excellent service - super fast delivery! The flowers were delivered on time, and were absolutely beautiful. Thankyou! Rita's service was exceptional and the beautiful arrangement brightened the recipients day. Thank you! Easy to order, delivered in perfect time and my friend in Oz tells me the flowers are lovely. Thank you very much. Fantastic service, beautiful bouquet, couldn't be happier!! Easy to order online, had a timely confirmation, the flowers were delivered as required and looked good. Would highly recommend. Excellent, fast & easy transaction made from NZ. And they made my beautiful friend cry - so gorgeous too! It was delivered on time as requested, and they were beautiful, thanks! Easy to use website and prices were very reasonable. The flowers and presentation were beautiful and my mother was really impressed. Ma daughter loves the baloon! The flowers that were delivered matched the picture on the website perfectly!! So happy with the quality and not overpriced! Thank you! Terrific flower selection and service! Extremely happy with the service & type of arrangement offered, pricing is reasonable as well... I would highly recommend this company & will use them again! Flowers were beautiful, apparently. so thank you. Did have a difficulty with ordering online but got help straight away so all worked out. Delivery driver went above and beyond after I gave an incorrect address. Amazing service thankyou! Gorgeous flowers, very pleased. Thank you. I have not seen flowers, but have spoken to my mother, and she said that the flowers and arrangement are beautiful. Service was excellent. the best and very convenient. Easy to use website, and very reasonable prices. The flowers arrived on time and in good condition, thank you. I will use again. Flowers delivered on time and e-mail to let me know they had been delivered. Flowers were wonderful and everything was handled perfectly! My order was delivered within a great time. The flowers were lovely, bright and what I ordered. Recipient very happy with the flowers so I'm happy. Flowers arrived in a timely manner and by all accounts, were lovely! My sister in law loved the flowers. Ordering online with Ooh La La was convenient and easy. Beautiful. Perfect. Right on time in the AM as requested. Thank you so much. Delighted with the beautiful wreath which arrived in time for my uncle's funeral. This is the 3rd time in 2 weeks that we have ordered flowers through the direct2florist web site via Ooh La La Floral Design. On the 1st 2 occasions the recipients were overwhelmed with their flower deliveries. On the 3rd occasion we got to see the flowers that we ordered and were very happy with what we saw. We highly recommend direct2florist and Ooh La La Floral Design for any flower order and deliveries. Lovely flowers,arrived as stated,great service.Will definitely shop again. Excellent service , lovely flowers, would use again. The flowers were beautiful and delivered at the time requested. First time I have used this service,and I was very impressed.Very efficient,and the display was beautiful,my 80 year old aunt was delighted,Thankyou everyone involved. Beautiful flowers, thank you very much! Thank you once again for the lovely flowers sent to our family member for mothers day. On top of the organised delivery you also included a special gift, which my grandmother loved. Best florist I have found in Melbourne. Keep up the great work. Absolutely brilliant! Easy to order, arrived on time and the flowers delivered exceeded the picture I ordered them against. Will definitely be using them again!! Based on the fact my sister nearly burst into tears when she saw the bouquet, I would have to say they were lovely! Amazing flowers, beautiful selection and very fresh!! Flowers &amp; card were sent just as asked. The service was great. I had forgotten to send flowers to a friend the week prior so it was really important I got them to her that day. I placed the order around 3pm, thinking I'd missed the cut off delivery time &amp; by 5pm my friend had texted to say thanks! Prompt service and lovely fresh flowers. My daughter was surprised and delighted with the arrangement and lovely vase. Great service and beautiful flowers. Very pleased. Delivered when asked to. Have seen a photo of the flowers and they look lovely. Thank you for making international flower sending so easy. Great and Super fast service with the best price for value! Great quality &amp; beautiful flowers for a time in need and delivered within a few hours of order. My cousin was delighted with her flowers, what you see is what you get, well done folks ! Delivered on time and beautiful. Thanks. The flowers received were exactly as shown on the website and lasted ages. Thank you so much! Delivered on the same day, would be better if there were updates on the estimated delivery time (timeframe within the day). Overall, I'm happy with the florist! GREAT SERVICE, BEAUTIFUL FLOWERS THANK YOU! Extremely happy with their service. Ordering online was so easy and flowers were delivered next day as promised. And apparently they were beautiful just as in the picture. Thank you Ooh la la??? Excellent, so easy to use the website and order flowers. I chose &quot;florist's choice&quot; and I was not let down! Beautiful choice, beautiful bouquet.. thanks! I am so happy with the service I received from Ooh La La. They helped me make my family's Christmas this year. Thank you so much. The flower arrangement recipient was extremely happy with what she received. So impressed with service and beautiful, beautiful bouquet. I ordered Australian natives - the friend to whom I sent them absolutely loved the flowers, and really impressed that they are REALLY Australian natives - no South African inclusions! Well done and thank you so much! This is the 2nd time I have ordered through you and once again you've done an amazing job. Although I haven't seen the flowers, I've been told that the arrangement looked incredible, very modern which suited the person they were meant for. Thankyou. I will definitely be using you again in the future. Very easy to place an online order out of business hours. Choice of arrangements excellent. I have found your service amazing! Everyone I have sent flowers to have loved them and reviving a email to say they received them is a great thing. Thank you so much. Looks like an excellent bunch of flowers! Thanks! Misses was very happy. When I ordered I requested a change &amp; it was done. <br/>I sent an email after I'd ordered &amp; had a friendly reply. Driver had a little difficulty finding address due to gps so rang. Lady was friendly and got to her destination. <br/>Very happy &amp; will use again. An assortment of white and green flowers was delivered in a nice basket. My aunt loved them and says they've lasted well.I will certainly use this company again. 5 stars all round. Excellent service and flowers, Rita went above and beyond and was a pleasure to deal with. Would definitely recommend! Flowers looked great. Colour was different from website photo but not a big deal for me. I was still very happy. And so was the recipient. Many thanks. Thank You! It was delivered on Sunday as requested. Just in time for big birthday. <br/>Very nice flowers! Beautiful flowers, delivered on time. Our daughter and husband are delighted with them. <br/>the colours were chosen because of the arrival of their new baby girl, and they are lovely. The flowers we have been told were really beautifully presented. We loved the range available on your website and the picture we saw represented what was delivered. Good Job! Was very impressed with this service, would highly recommend. I received a photo of the flowers that were delivered which was a very nice touch for an online purchase! I used ooh La La Floral Design, they alsways email me to confirm delivery &amp; a picture of the floers sent. I have used another company via Florist2 florist &amp; I never got the same service from them, so will always use ooh La la as they are excellent. My Mother said they were the most beautiful flowers she has ever received &amp; I have sent her lots of flowers over the years! Thank you. Rita, Ooh La La and the floral team were SPECTACULAR!..And the flowers were so gorgeous (generous for the price too) they made my daughter cry with joy. Thank you Rita! They're someone you could rely on online. Disappointed with the product however, as it did not look like the one in the photo.. I asked my froemd to take a photo of the bouquet only to find out there were too many leaves and just a few flowers.. Flowers were delivered a day early. Considering it was an anniversary, it would've been preferable to drop them off on the day requested at anytime rather than 24 hours. The delivery address was central Cranbourne, so not too far out of the way. Other than that, the card read correctly and the flowers were nice. Beautiful flowers!!! Thank you for making my friend so happy. Excellent customer service, we had a slight hiccup with flowers but couldn't have done more to rectify. Love the fact that they also sent me a copy of the final arrangement, nice touch to see what I had paid for. Would recommend Ooh la la to anyone ordering from abroad. My friend loved the flowers, it was a beautiful arrangement and delivered on time. Flowers were not as expected, bore no resemblance to those ordered. No indication that the ones ordered were not in stock. Though I understand seasonal adjustments are necessary I would have used this information to order something different or use a different Company. My Sister seemed pleased with them. They delivered promptly with excellent and thorough feedback. My daughter sent a photo and the flowers were beautiful. I requested for flowers to be delivered on the same which it was. Thanks very much for that. The flowers were destined for my brothers funeral but we were very disappointed to see that a significant part of the display consisted of lilies which were still in bud. Ideally they should have looked their best on the day The flowers were destined for my brothers funeral but we were very disappointed to see that a significant part of the display consisted of lilies which were still in bud. Ideally they should have looked their best on the day and been in full bloom - had they been given as a birthday present for example and put in a vase of water, then The flowers were destined for my brothers funeral but we were very disappointed to see that a significant part of the display consisted of lilies which were still in bud. Ideally they should have looked their best on the day and been in full bloom - had they been given as a birthday present for example and put in a vase of water, then been in full bloom - had they been given as a birthday present for example and put in a vase of water, then that would have been different. These were to be left at the grave and unlikely to be put in water and so would have a very short life. It seemed to be a very poor choice in the circumstances - also the bouquet looked very different from that shown on their website. Whereas we appreciate that different blooms may be used, had we seen this beforehand, we would not have ordered it. It was very disappointing considering the price we paid and being such an unimpressive display made us feel a little embarrassed. We could have bought something much more impressive for a fraction of the cost here in the UK - some consideration of compensation would be in order and very much appreciated. Beautiful arrangement, very happy with it. I was amazed. I'm in Perth and it must have been within the hour the flowers were delivered to a Cranbourne West house. I then received confirmation and a photo of what was sent. They were lovely. Thank you very much Ooh La La. I particularly liked the fact I got a photo of the product. Excellent service ! I ordered the flowers the night before and they were delivered the next afternoon. The flowers looked just like the original photo and I even recieved a follow up email and photo of the delivery. The recipient was delighted. I highly recommend both the service and the florist. Thank you ! My friend was delighted with her arrangement. Thank you. Didn't except the flowers to be delivered in the same day, as I was late putting in the order. But my sister was very happy to receive them,Thank-You for that. A photo and notification of delivery were emailed. <br/>Recipient was very pleased with the basket arrangement. Brilliant. The flowers were delivered on time and as the picture for our daughters birthday. <br/>We are based in U.K. Really impressed and will amd will use Direct2 again.Many thanks. <br/>Roger and Lynda. The flowers delivered weren't as impressive as the bouquet pictured when ordering. Hard to tell if the same number of flowers were used so unsure if the value was great. More than 1 option for boxed chocolates would be good, they would want to be some pretty fabulous chocolates for $25. Wonderful service, will use again! Easy to order. Arrived on time and my cousin loved them. I would recommend to others. Exactly what I ordered. A beautiful presented bouquet of flowers. My sister was extremely happy with her flowers, Fresh, colorful and beautiful! Again a very easy way to order flowers & l love the way I was sent a picture of the floral arrangement. My Auntie just loved them! Thanks Ooh La La! Great service with email confirmation of delivery and photo of arrangement. The flower arrangement was absolutely beautiful and was delivered promptly. Cannot fault anything. my daughter was very pleased with the flower basket. Family very pleased with the flowers, the lady who delivered was very nice. Very happy. If they were a bit bigger it would be excellent. Very happy with the level of service and response. Fabulous service. Rita went out of her way to deliver, even though the order was placed late in the afternoon. Would recommend in a flash and certainly use again. recipient sent thanks for the spectacular flowers" - how good is that!!!" Cannot fault them,the flowers were delivered on the day requested and my friend was really pleased with them. A nice surprise for her birthday. Would not hesitate to use this florist again. I was even sent an email to tell me they had been delivered.Thank you. the picture of the flowers is a nice touch. Amazing service! Quick response to email query, flowers were exactly as displayed on website and I was very impressed with the follow up email to advise of delivery, and a photograph of the arrangement that was delivered. Very happy...thankyou! Fantastic , the flowers were exactly as I'd chosen and were delivered when I asked, couldn't ask for more , thank you ! Will definitely use this florist again ! Flowers were described as magnificent - thanks!! My friend was very happy with he flowers that were sent. She said they were fresh, plentiful and looked beautiful. Thank you. My mother was absolutely delighted with both the flowers and the beautiful container. What a great idea to send a photo of the arrangement. You made my mother very happy on Mothers' Day, both with the gorgeous flowers and the fact that you delivered them at the time requested. Thank you. Flowers were delivered very quickly and appreciated the photos being emailed prior to delivery. Great customer service! Amazing service! I ordered flowers for my best friend in Australia, asking for specific flowers to be included in the bouquet. The bouquet arrived on time, in perfect condition, with the flowers I requested. Definitely be using again in the future!! Flowers were beautifully arranged and delivered as promised. The recipients sent me a photograph of the flowers and they were beautiful. Only saw photographs but flowers looked as described on website. The flowers looked like the advert's photo. Beautiful. My sister was delighted with the selection. My daughter was very pleased with the flowers and they lasted well. I appreciated receiving a photo of the actual bouquet. I would definitely recommend oooh La La Floral Design. Pleased with the service and flowers! As the flowers were requested from us in the UK to be delivered in Australia we assume they were very good. The picture provided certainly looked good. Do not know if the recipient has actually received them or not as your message said that nobody was in and the flowers were left on the doorstep. Have not heard back from the recepient so assume they never actually got the flowers. Not your fault as I suppose I should have made sure they were at home. Thank you for the service. Really happy with the service and my friend loved her flowers. Good service and, having left the choice of flowers up to the florist, it was particularly helpful that they then provide a picture of the blooms they sent. Would certainly use them again. Flowers were delivered on the date specified. It was nice to receive an emailed photo of the flowers so I can see what I purchased for my friend. I will use Ooh La La again for flower deliveries in the Frankston/Langwarrin area. fantastic service, I saw a photos of the flowers and they were beautiful. I was pleasantly surprised to receive a photo of the actual arrangement that was delivered - the flowers looked fresh and lovely and the recipients feedback has been very positive. Left flowers at door in hot sun and they died. Recipient called and complained. A new bunch was immediately delivered and apology given. Flowers arrived safely, on time and the recipients were delighted. Considering I ordered from Italy this was very reassuring. Thank you. Excellant follow up with the flower delivery details etc and to forward a photo of the flowers was a lovely touch. My friend loved them and they gave her a lift. many thanks. I would recommend your company to anyone. Living in UK my order was made by internet. 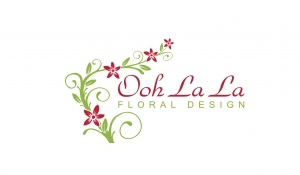 Chose Ooh La La Floral Design as they seemed to be near to the delivery address. I left the choice of flowers to the florist, just telling them that they were for a lady's 30th birthday. An absolutely beautiful arrangement was delivered the same day, and the recipient was delighted. Rita at Ooh La La emailed me a photograph of the flowers. I would certainly recommend this florist and will be using them again. Flowers were exact to what I ordered online. My friends thought the flower arrangement they received was absolutely beautiful. Thank you. The photo of the flowers was very pleasing to see what we had actually chosen. Thank you for a wonderful service that is definitely 5 star. I would have no hesitation in using this service over and over again. Fantastic item delivered. 3rd time I've used this florist and would definitely use again. Didn't get the email with photo of the flowers as received on the previous 2 occassions but my friend sent me one so won't mark the florist down for this. Excellent customer service and communication. Went the extra mile to help me. I was told the flowers were beautiful! Thanks Rita! I will be using your service again. my sister told me the flowers were beautiful, delivery was as promised. thanks very much and will definitely be using you guys again. Excellent! On time and fabulous arrangement !! So very happy ! Sent them via an email as I am in England, my Auntie in Australia was so pleased to receive them. Thankyou!! Lovely bouquet of flowers delivered exactly what was ordered and delivered when asked! Excellent service! Fantastic service - second time I've used this florist to deliver flowers to a long distance friend and I love the service especially the email telling me they've been delivered and as my recipient wasn't home i also got details of where they had been left. Bouquet was beautiful and completely appropriate for the occasion. Will not hesitate to use again. Thank you! The flowers were delivered on time and were beautiful. We ordered from the UK and the recipients were so delighted they took a family photograph and posted it on facebook so thank you so very much for making a special person very happy. I'm located in California, USA and placed an order for someone special located in Melbourne and all I can say is I will totally order from them again. They were amazing and very helpful and meet my needs and recommendation. I'm completely satisfied. The flowers looked exactly like the picture I ordered, fantastic, thank you. Great product delivered quickly. I've used Direct2florist several times now with consistently good service and product. Happy customer! Excellent service - very professional and the flowers were loved by the recipient! Mum VERY happy with her flowers, and I think they're just beautiful! Having a photo sent as well is fantastic - that's never been done with other florists and it is a brilliant initiative. Thank-you!